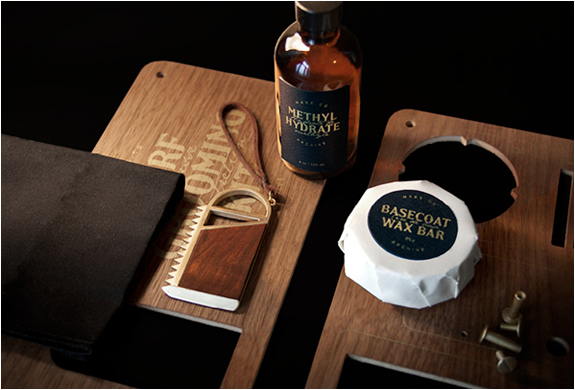 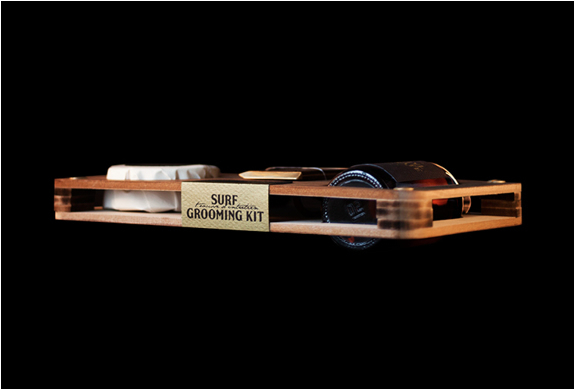 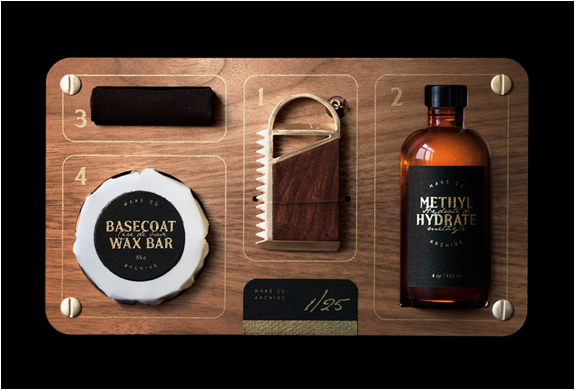 Design studio Consult have presented another surf related product, we had featured their "El Gringo” wall mounted surfboard rack, now they have created the sophisticated Surfboard Grooming Kit. 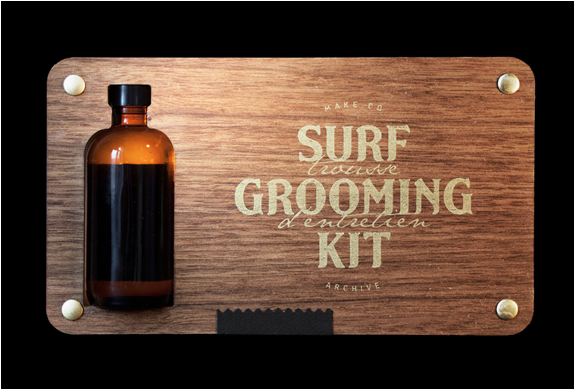 The limited edition package includes all you need to pamper your loved board, including a Bronze and Brazilian Lapacho waxcomb, wax and a bottle of methyl hydrate. 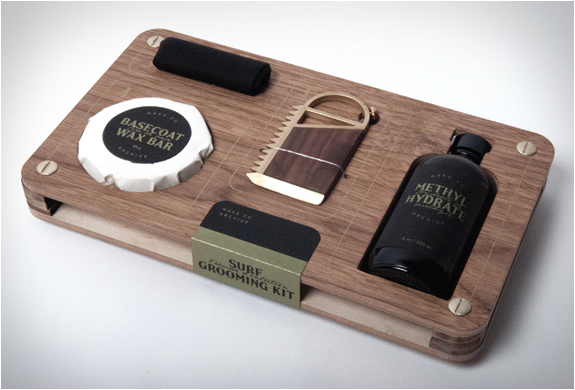 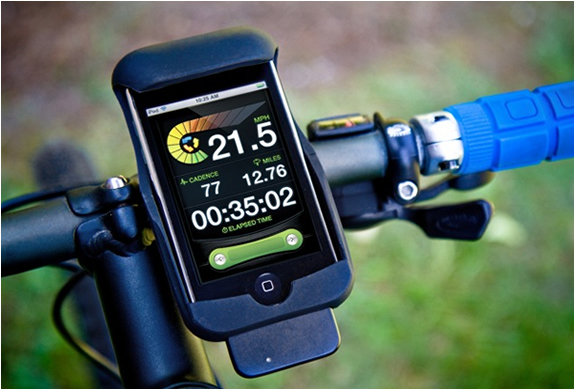 The convenient little kit secures to a sleek wooden carrying case.